We’ve all experienced those magical moments when someone makes your day – by treating you like family, by looking out for your well-being, by making that extra effort that transforms a small act into a big difference. OHSU’s ROSE Award honors these experiences and celebrates the exceptional acts of service excellence that make our workplace a community. We recognize these individuals for providing acts of compassion, dedication, tenacity, generosity, communication, and leadership, among others. The most recent awards ceremony honored two groups within the neurosciences. Please join us in congratulating these groups and help us thank them for going above and beyond. Lisa and Karin demonstrated excellent teamwork and excellent nursing care in helping me with my assigned patient, who was very delirious, impulsive and feeling frustrated with being stuck in the Neurosciences ICU (NSICU) for so long. Lisa was the charge RN and Karin was the stroke response RN. The unit was very busy that day with a lot of post-operative patients, but they still made the time to set my patient up in the nursing station with a little activity table, complete with coloring pages and pens. When this patient was feeling upset later on, they used patient, kind therapeutic communication and really created safe space for a patient who wasn’t feeling very safe in the moment. 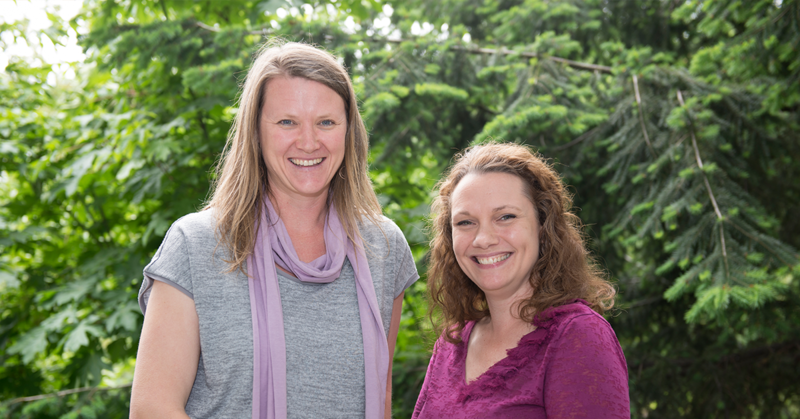 Sometimes on those busy days in the ICU, these crucial holistic nursing interventions aren’t prioritized, but Lisa and Karin showed that even on busy days we can all work together to create a caring environment. 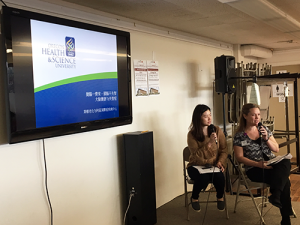 In April, Research Associates, Dara Wasserman, Nicole Fleming and Sylvia Salazar provided eight lectures on brain health and dementia to 263 community-dwelling Asian older adults through a new partnership with the Asian Health & Service Center. Lectures were translated into Cantonese, Korean, Mandarin and Vietnamese. 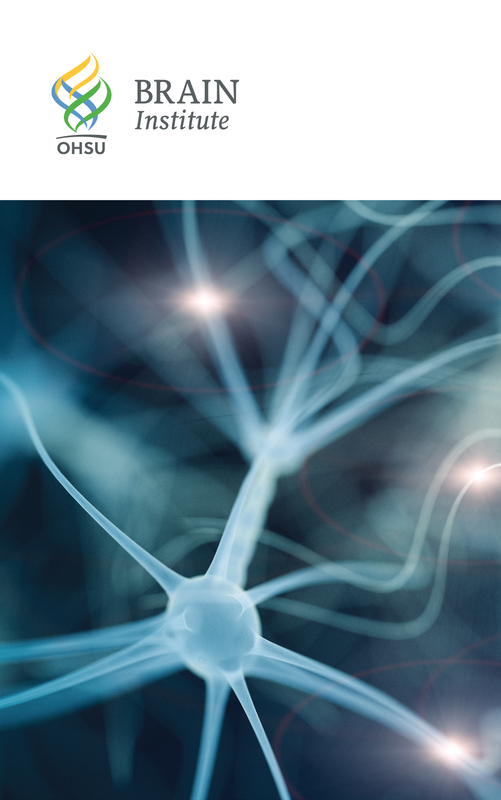 This community learned about the work of the OHSU Layton Aging & Alzheimer’s Disease Center and the brain, including different types of memory and what is considered “normal aging” and what may be dementia. The Layton Center team discussed signs and symptoms of the disease, offered tips for talking to doctors and what patients should expect at a dementia screening appointment. In Oregon, as of 2015, Asians had the second-highest rate of mortality among all ethnicities for Alzheimer’s disease and dementia. As a group, Asian-Americans have a longer life expectancy compared to other groups, which raises the risk for age-related conditions such as Alzheimer’s. Finally, some Asian-American community members see signs of dementia as part of the natural aging process and therefore opt against seeking treatment that could help them. The research associates’ effort was a great example of the way OHSU serves the community by literally translating the amazing work we do, and the knowledge we have. 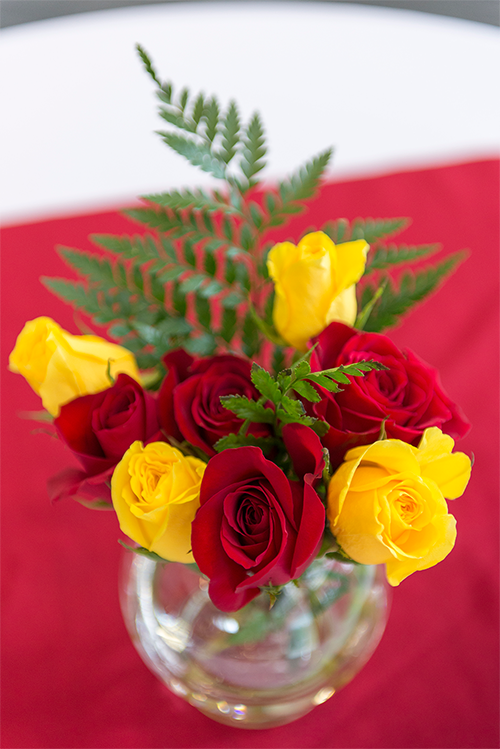 Nominate an employee, student or volunteer for a ROSE Award. Printed nomination forms are also available in reception areas on our campuses.